Daring, dynamic and directional. The Urban ballpoint pen represents a new generation of Parker designs, with an original pendulum-shaped silhouette producing a distinctive look and feel. Chiselled patterning here brings a jewel-like quality to the brilliant lustre of metallic white. 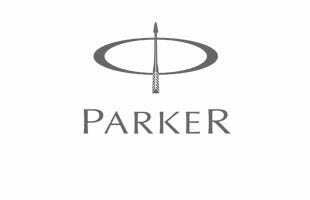 Dare to be different with this ultra-modern Parker pen. Lovely pen. Smart, and had a few compliments. I purchased this pen for a present, the recipriant was delighted. The barrel of the pen is easy to handle and the pen well balanced. I only wish I had had it engraved . I like everything about the gift that I gave my husband and he does too. He likes a pen that is shaped, strong and looks good and this pen fulfils those wishes.